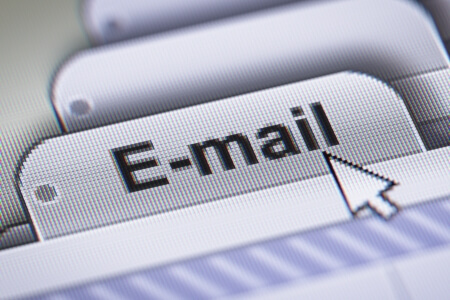 Two free email services have announced closures this week, forcing users to move to a different provider before they lose access to their email address. On Wednesday consumer champion Which? said it was shutting down which.net webmail on 24th May. Which.net email addresses are holdover from its old dial-up internet service, and while it hasn’t offered internet access for many years there are still around 5,000 people with a Which? email address. The decision has generated some anger from users who feel they’ve been abandoned with very little notice. And following the Which.net announcement, Tesco today warned anyone with a Tesco.net email address that they have until the 27th June to switch email providers. After that date the address will no longer receive email, but Tesco is allowing users to set up forwarding which will remain in effect until October. Tesco.net email is the last remnant of Tesco’s home broadband service which was sold to TalkTalk in 2015. It was at one point a fairly popular ISP, with around 75,000 subscribers. Anybody affected by this news should immediately begin switching to a new email service. Not only could you miss out on messages from friends and family, an email address is often used to recover lost passwords. In rare cases changing an address is a more involved process because for security reasons you may need to contact support to update it. Working through every associated web site or service can take some time if you’ve had the same email for years. Free webmail such as Outlook or Gmail is the best option for most people. We would not recommend using an email address associated with an internet service provider; not only could you lose the email if it shuts down, you may not get to keep it when switching broadband.